Dave 's only lecture in 2018 was held in Chicago. If you missed it, no worries, you can still learn what he offered and purchase Dave's Chicago Video Lecture Notes for streaming or download HERE. All three of Dave's previous best selling videos are now available for streaming and download! 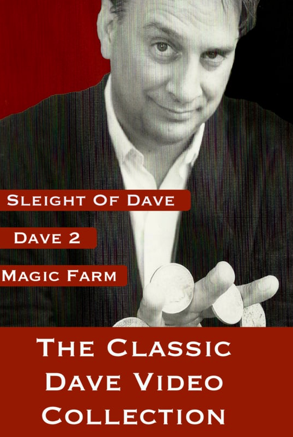 Purchase Dave's Classic Trilogy: Sleight Of Dave, Dave 2 & Magic Farm HERE. Dave teaches Magic to kids of all ages! NOW AVAILABLE AS ONLINE DIGITAL VIDEO. YOU CAN RENT OR BUY THE STREAMING AND DOWNLOADABLE ONLINE VERSION BY CLICKING THE "WATCH NOW" BUTTON. WATCH THE TRAILER FOR DAVE'S FUN NEW INSTRUCTIONAL VIDEO.